for a birds eye view of the park. “A male peafowl or peacock has wandered from the Central Park Zoo,” the zoo’s parent, the Wildlife Conservation Society, said in a statement. The peacock perched five stories up, at 838 Fifth Avenue (65th Street), a large crowd gathered below to look and take pictures. He is 2 years old, has no name and lives in an open-air aviary; he and his two fellow peafowl are free to come and go as they please, zoo officials said. He selected some rather expensive real estate... one apartment was on selling for $24,000,000 two years ago. Zoo personal were on hand to make sure he returned safely. I do hope it all ends well. Peacock on the loose flies back to Central Park Zoo after escaping and spending night on 5th Ave.
A peacock that flew the coop from the Central Park Zoo returned home safely Wednesday morning after spending the night perched on the ledge of a Fifth Ave. apartment. The flighty fowl woke up from his snooze and decided to head back to the zoo at 6:45 a.m. Flying diagonally across Fifth Ave., the bird landed next to the netted enclosure from which it had escaped the day before. "We have recovered the peacock as anticipated this morning when it flew home at sunrise back into the Central Park Zoo," said zoo director Jeff Sailer. "Our staff monitored the bird through the night, and at 6:45am, he flew back on his own. The bird is now secured in the aviary," he said. Colleen Holmes, 36, and Stephanie Witowski, 29, were completing their morning run when the exotic bird sailed overhead. "He just turned and flew off," Holmes said. "I can't believe he just flew over our heads." "It's a beautiful bird," Witowski said. Sailer said zookeepers were pretty confident the colorful creature would return home on its own from its adventure. 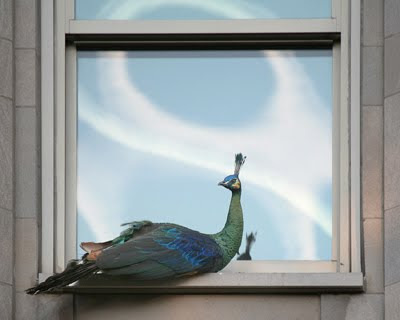 "A thorough understanding of the peacock's natural behavior allowed for the successful planning of its recovery," he said. The beautifully-plumed bird had ended up on a fifth-floor window ledge at 838 Fifth Ave. across from the zoo on Tuesday, peering down at a growing crowd of onlookers and the yellow cabs whizzing. As the hours passed, the avian escape-artist twisted and craned his neck, ruffled his feathers and cleaned himself, seemingly oblivious to all. Around 3 a.m. he appeared to take a nap, waking up again sometime around 5 a.m. After another two hours, the bird grew bored and went home. The Central Park Zoo, which discovered it was down one peacock during a morning count, had said the bird posed no danger. Peafowl are omnivorous and eat plants, seeds, bugs and reptiles. In May, a peahen escaped from the Bronx Zoo and was strutting around the Bronx for at least a day before being rescued by garage owner Matos Edison, a bird lover who plucked her out of traffic. In March, the city's imagination was captured by a cobra that went missing for a week from the Bronx Zoo. So the Fall Migration is off and running. 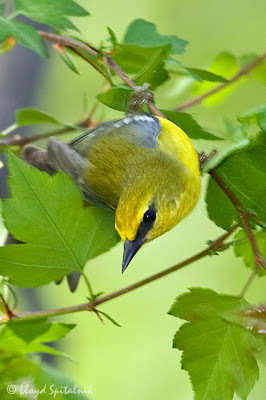 I went back to my old Ramble records and found reports for first "fall" sightings of the Yellow Warbler on July 14, 1997, July 20, 2000, July 24, 1996, July 26, 1993, July 28, 1998, Aug 1, 1994, 1995;. 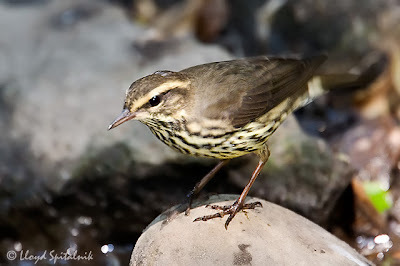 By the end of the first week of August many more species of avian migrants will start to appear in Central Park. The next migrants to keep an eye out for: Black&White Warbler, American Redstart; Palm Warbler; Pine Warbler.